Conservative and Liberal-Democrat politicians were quick to deflect attention from their controversial pension’s plans last week by goading all those public sector workers. Ministers couldn’t act quickly enough to condemn those who plan to strike for the inevitable disruption it will cause. It will be an autumn of discontent, and this is largely because the government has announced the cuts to public services pensions before completing its discussions with unions. therefore forcing them into action. 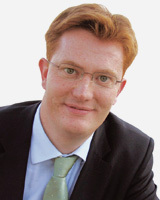 Last week Danny Alexander said the plan was to protect public sector workers for the long term. In a speech in London he said the proposals were “not an assault” on pensions and accused some unions of spreading “scare stories” about government plans. He said a small group of unions were “hell bent on premature strike action”. I find this line deeply inflammatory and I’m certain that it will only serve to fan the flames of the already angry unions who rightly feel they are still in the middle of negotiations. You can read more on last week’s story here. I blogged on the interview Harriet Harman gave in last week’s Guardian in which she highlighted how poorly the Tories are on the equality agenda, something which she has fought so hard to achieve but for which she gets little recognition. She said in the interview “You can’t leave equality to the Tories”, it’s a brilliant quote which frankly sums it all up. Harriet, as ever, remains true to her mission to boost women’s rights. You can read the full interview here, and more on my earlier blog here. 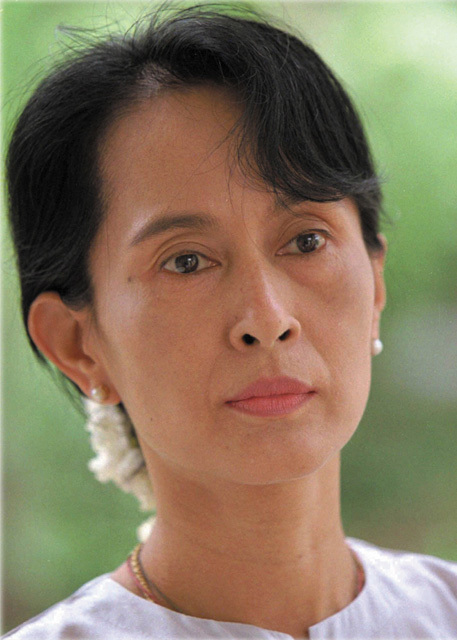 Despite her efforts, internationally we have some way to go. Targeted violence against female public officials, dismal healthcare and desperate poverty make Afghanistan the world’s most dangerous country in which to be born a woman, according to a global survey released on Wednesday. The Democratic Republic of the Congo (DRC), Pakistan, India and Somalia feature in descending order after Afghanistan in the list of the five worst states, the poll among gender experts shows. The disappointing survey has been compiled by the Thomson Reuters Foundation to mark the launch of a website, TrustLaw Woman, aimed at providing free legal advice for women’s groups around the world. You can read the full report and findings here. The big news this week was the analysis of the coalition Government’s Comprehensive Spending Review. Ploughing through the papers the following day there was so much to take in. But there was one revelation within the annoucement’s which struck me more than anything else, and that was the cut by £50 for new recipients of the winter fuel allowance. The move came despite a pre-election promise from the Prime Minister to safeguard benefits for the elderly, including winter fuel payments. In addition the Government is making plans to increase the state pension age to 66, it was revealed. Last winter, any household with someone aged 60 or more received a £250 winter fuel payment. For those over 80, it rose to £400. Those rates were increased by Gordon Brown in 2008, by £50 and £100 respectively. You can read a full analysis of the winter fuel payment cuts in The Telegraph here. Also last week, the Government was left embarrassed following a gaffe by the Chief Secretary to the Treasury, Danny Alexander, when he inadvertently revealed that 490,000 public sector jobs would be lost by 2014 as a result of spending cuts. The revelations were made after Alexander left a briefing note on display which was then photographed and snapped by the crowd of photographers. And the cuts also hit the BBC which was forced to accept a 16% budget cut, with the licence fee frozen for six years…and the corporation taking on the responsibility for the World Service which had been funded by the Foreign Office previously. Patrick Wintour wrote in last week’s Guardian that the negotiations left the BBC stunned, with insiders claiming that a license fee settlement that would normally take years to thrash out had been imposed in three days. The extra financial burdens are equivalent to the cost of running the BBC’s five national radio stations. You can read the full story on cuts here in the Guardian. I was also pleased to read earlier in the week how three feature length films are to be made over the next six months in Bristol. Bristol is a growing hub for film, with both the makers of Wallace and Gromit and the graffiti artist, Banksy, originating from there. The films will be made with a mixture of public and private funding. The projects are aimed at inspiring young talent and at stamping Bristol firmly on the map as a center for film making in the UK. Perhaps the Culture Secretary, Jeremy Hunt, will follow the success of these films, and consider his decision to axe the popular and much needed UK Film Council, an organisation which works with young and emerging talent in this country to both inspire and support them in their projects. Hunt’s short sighted and quick action to abolish it have undoubtedly set back the UK film industry but projects like this will help to keep the UK film industry on the map. Read about the Bristol films in The Guardian here. Business Secretary Vince Cable, according to Harriet Harman, has gone from ‘national treasure’ to the ‘Treasury poodle’. Referring to both Mr Cable and his beleaguered Lib-Dem Coalition colleagues, Harriet told the House of Commons that while the Labour Party fought to support jobs for people, the Lib-Dems sought to secure jobs for themselves. Harriet is, of course, right. By any stretch of the imagination, yesterday’s budget, the most right-wing since the Thatcher Government, demonstrated just how hollow the Lib- Dems election campaign pledges have turned out to be. A mere 50 days ago the Deputy PM (Nick Clegg) denounced the public expenditure cuts favoured by the Tory Party in their general election campaign. Yet in yesterday’s budget the Lib-Dems showed support for virtually everything they had fought so hard against. It was difficult to watch, both in terms of content and the reactions of the junior members of the Coalition. While the Chancellor told us to brace ourselves for a series of cuts and VAT hikes, I watched closely at how uncomfortable Deputy PM, Nick Clegg, and Treasury Secretary, Danny Alexander, looked despite being perfectly positioned either side of their Conservative Chancellor. 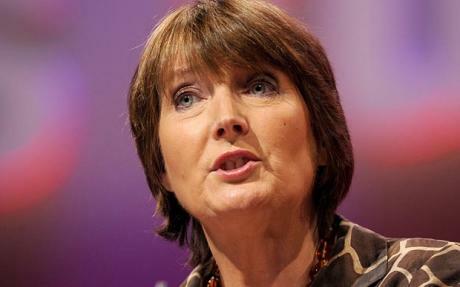 In contrast, I have not seen a performance as good as the one given by Harriet Harman for a very long time. She spoke with great passion and directed her reaction to the Budget not at the Conservatives, or the Con Lib-Dem coalition, but at the Liberal Democrats themselves. ‘How could they let down everyone who voted for them – how could they let the Tories so exploit them?’ she bellowed to the chamber. This budget she said was driven by ideology rather than economics.